Mayweather vs Canelo: Who Will Remain Undefeated? Fight night is finally here. After months of anticipation and an exciting buildup courtesy of media press tours and Showtime’s All Access, tonight is where it all comes to a head at the MGM Grand in Las Vegas. 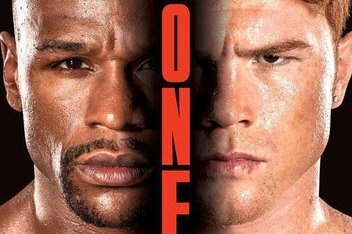 Both Floyd Mayweather Jr and Saul “Canelo” Alvarez are undefeated but after tonight that will come to an end. Tomorrow morning many will either be talking about Alvarez shocking the world and the ultimate demise of Mayweather, or how a young hotshot pushed by Oscar De La Hoya failed to live up to the hype. Who will be the one? This entry was posted in Media, Sports and tagged Boxing, Canelo Alvarez, Floyd Mayweather, MGM Grand Las Vegas, Showtime. Bookmark the permalink.